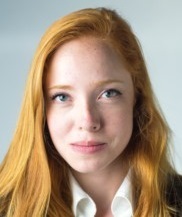 Julie Shade, a first year PhD student in the ICM lab of Natalia Trayanova, Murray B. Sachs Professor of Biomedical Engineering, has been granted a National Science Foundation (NSF) Graduate Research Fellowship. The highly competitive Graduate Research Fellowship Program (GRFP) recognizes and supports outstanding graduate students in science, technology, engineering, and mathematics disciplines who are pursuing research-based master’s and doctoral degrees. Julie will receive a three-year annual stipend along with a cost of education allowance for tuition and fees and the freedom to conduct her own research. Shade, who is pursuing her PhD in biomedical engineering, is developing a novel approach to using MRI and PET scans to create personalized 3D heart models for ventricular tachycardia risk stratification in non-ischemic cardiomyopathy patients.